By now, the ugly sweater has become ubiquitous — with even staid office parties now hosting ugly sweater contests. That means it’s time to move on to something more edgy. And, at least in London, that would be — no you did not guess this — the Christmas Beard. 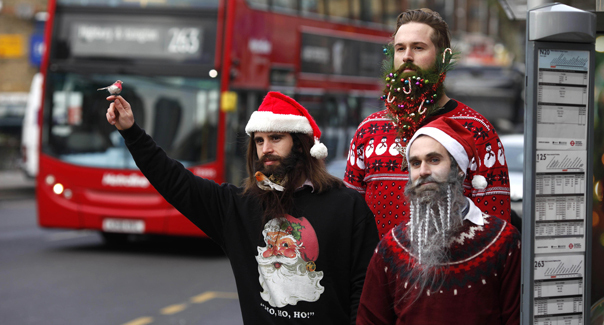 First conceived by London artist Katya Wildman, this bit of hairy holiday couture kicked off mid-month as a celebration of the release of Samsung’s Galaxy Note Edge (Xmas beards are edgy, get it?). 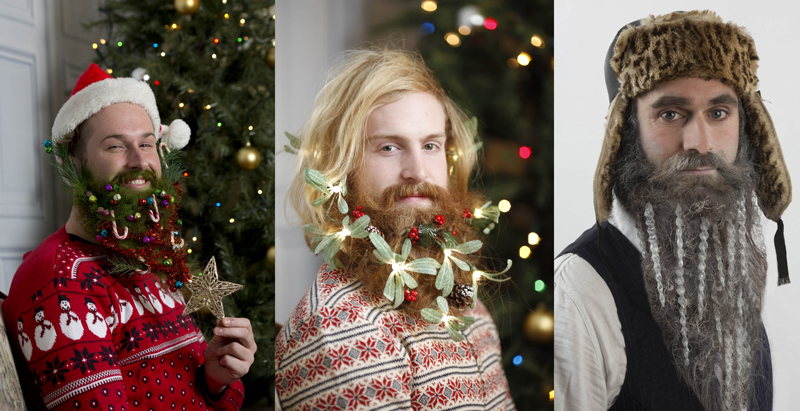 Wildman (a name that may partially explain the affinity for beards) spent six hours creating four hirsute designs – The Reverse Christmas Tree, The Iceman Cometh, Festive Birds Nest and Mistletoe Madness — featuring a Christmas tree, a Robin Redbreast, mistletoe, glitter, snow and icicles. She then photographed some gallant (and good-humored) gentlemen sporting such items in their facial hair with the new Galaxy Note Edge. Should you need more details (and images from this project), a Flickr gallery is available for your viewing pleasure.